Now that the Silver Line is in the final stretch towards opening, Metro and Fairfax Connector want to familiarize residents with bus routes that will serve the stations. The opening of Phase 1 Metro’s $2.9 billion rail extension that will run from East Falls Church to Reston’ Wiehle Avenue is more than six months behind schedule. However, Metro officials said on Monday that fewer of 10 punch list items need to be completed. If that gets done promptly they will set an opening date early next week. That means the first Silver Line riders may be boarding as soon as July. 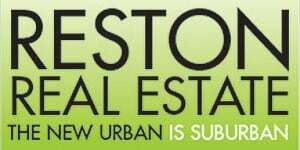 Wiehle-Reston East will be the end of the line until at least 2018, when Phase 2 is slated to be completed. In Phase 2, the rail will go to Reston Parkway, Herndon, Dulles International Airport and into Loudoun County. Until that happens, Wiehle will be a busy hub. It is the only Phase 1 station with parking. More than 3,000 spaces are in the parking garage at the intersection of Sunset Hills Road and Wiehle Avenue. Parking will cost $4.75 a day. There is also parking for more than 200 bicycles. Despite the parking, Metro and Fairfax County transportation officials are encouraging Metro users to take a bus to the station. The Silver Line will be serviced by several bus providers. 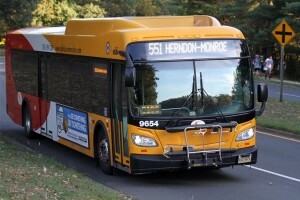 Metro bus will provide service to and from the McLean and Tysons Corner stations; Fairfax Connector will take riders to all five stations; Potomac and Rappahannocok Transportation Commission will provide service to the Tysons Corner station; and Loudoun County Transit will provide service to Spring Hill and Wiehle-Reston East stations. Fairfax Connector has added new routes, made changes to existing routes and eliminated some routes in preparation for the Silver Line’s opening. To see if your route is affected and to see which bus route is most convenient for you, visit www.silverlinemetro.com. Buses will also play a critical role in connecting riders to Dulles, said Jack Requa, Metro’s assistant general manager of bus services. Options to Dulles include the 5A bus from L’Enfant Plaza in D.C. (with stops at Roslyn and Herndon-Monroe Park and Ride); Fairfax Connector buses 981 and 983 will depart Wiehle-Reston East with stops at Herndon Park and Ride and the Smithsonian’s Udvar-Hazy Museum; and the Metropolitan Washington Airport Authority will run the Washington Flyer Silver Line Express from Weihle-Reston East to Dulles. Fairfax Connector routes 505, 981 and 983 will also go from Wiehle-Reston East to Reston Town Center. Buses that formerly carried passengers from Reston stops to Blue and Orange line stations will now go to Wiehle-Reston East. Visit Fairfax Connector’s website to see all area routes.